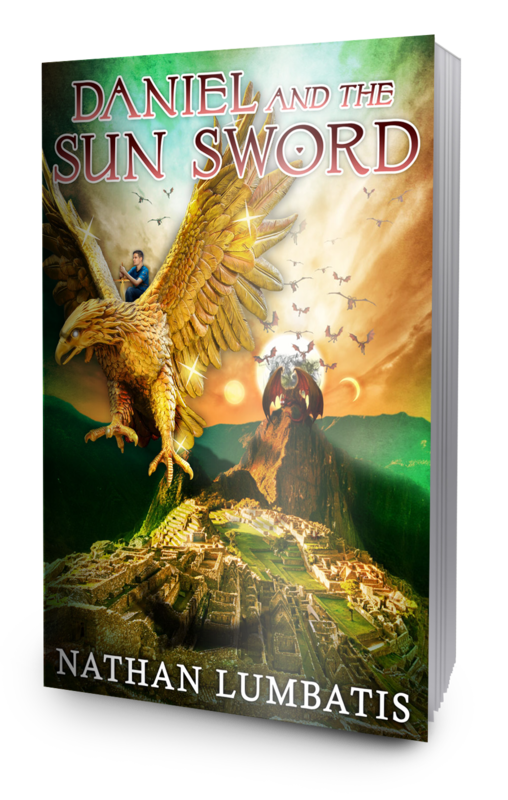 Please review Daniel and the Sun Sword On AMAZON! Ms. Rebecca Luella Miller recently asked me to guest post on the Speculative Faith blog, and I was only too happy to oblige. Here is a portion of my article, Christian Fantasy and Magic. At the end of this excerpt, there’s a link to the whole article if you want to read the whole thing. The mob pushed closer to the house, beating on the doors and windows. It was only a matter of time before they broke in and killed us—or worse. One of the strangers stood and walked toward the door. With a nod of his head, the door burst open. He casually raised his hand and a blinding light radiated forward like a shockwave, leveling the men outside. They screamed, clutching at their eyes while blindly stumbling over one another to flee. Priests danced around the fire, muttering dark enchantments. Nothing happened—no fire, no divine light—nothing. One of the older priests flung a curse in his direction. “My, my! There’s no need for that. Don’t bite unless you have teeth. Here, let me show you how it’s done.” The wizard raised his staff into the air and closed his eyes. Barely two heart-beats later, the sky answered. Lightning, wrapped in flames of blue and green, struck the stones behind him. The lifeless bull, the rock altar, the water—they were gone—vaporized by the power of his God. A figure, draped in a black robe wreathed with ebony flames, stood guard by the stone—invisible to all the onlookers. Invisible to all except me. He hovered just above the ground like some disembodied shadow barring my way. Despite their ignorance, the others reacted to his presence—weeping, beating their chests, wailing loudly as if the din alone could make him flee. No, that wouldn’t do it. What lay inside was his, and he would not give it up so easily. I felt the Power rise up within me, and the dark sentinel immediately blanched. From somewhere in his robes his eyes zeroed in on me. He trembled, giving more life to the dark flames. I held out my hand and took a deep breath. One word burst into my mind. I couldn’t hold it back and shouted it like a battle cry. The stone split in two and fell away from the cave entrance. Like a stream of dust before a gale, Death was driven up over the mountain and into the open sky, shrieking as though I had dealt him the final blow. But no, that battle was still to come. With a clap of thunder, he was gone. I let my eyes fall back to the cave. My friend stood in the dusty entrance, bound hand and foot by tattered strips of grave cloth. What should the Christian author’s attitude toward magic be? In the Chronicles of Narnia, C.S. Lewis writes much of magic. There’s the Deep Magic, the Deeper Magic, the enchantments of various magicians and witches, the curses of dragons, star magic—you get the picture. I have read that not all Christians at the time looked with kindness on his fictional amalgamation of the secret arts and Christianity. I guess this shouldn’t surprise me. Even now, with such a literary giant as our forebear, how many people squirm when we Christian Fantasy writers show them our stories? After all, magic has connotations of supernatural power derived from somewhere other than God. But does it have to? In my mind, Lewis, and others of his caliber (Tolkien, Lawhead, etc.) redeemed magic to its higher, nobler form—the creative display of God’s power through his children to further the Kingdom. A brief glance at Aslan, Gandalf, or Merlin’s power is all it takes to see how authors can elevate magic from darkly arcane, to holy and vibrant. Of course, to make ourselves feel better, we call this sort of holy power “miracles” when we discuss it in Sunday School. But in reality, the definitions for both magic and miracles include the same core element—supernatural power altering the course of normal events. And when we read Biblical accounts of God intervening in the world, we shouldn’t lose sight of how “magical” they would’ve appeared….READ MORE. This entry was posted on January 30, 2016 by nathan.lumbatis. It was filed under Christianity, Daniel and the Sun Sword news and updates and was tagged with author appearance, Christian books, young adult christian.